Dentists have a lot to contend with. No one likes visiting the dentist — or at least, that’s the stereotype. Dental work is scary, it can be painful, and it’s another expensive aspect of healthcare. As a dentist, it’s your job to ease fears and reduce stress, all while paying attention to tiny details inside someone’s mouth. At the same time, there are few professions that have the perks being a dentist does — you’re helping people, you have flexible hours, the pay is excellent, and you get to introduce yourself as a doctor. It may take extra years of school to become a dentist, but those who enter the dental field often feel it’s worth it. If you find yourself looking for a career where you get to help people and make a difference in your community, you may want to consider some aspect of dentistry. You’d be providing an essential healthcare service, helping alleviate pain, and contributing to a productive community through your business. Deciding you want to join the dental industry is only the first of many decisions. Dentists can’t go it alone, and there are a variety of ways to contribute to the field of dentistry without being a full-fledged dentist. Becoming a dentist requires a lot of schooling. You’re looking on, at average, four more years after undergraduate. If you want to specialize, there will be further education required. These programs can take up to six years and may or may not include a residency. Dentists have several specialization options. If you become an orthodontist, you’ll be working with tooth and jaw alignment, often using tools such as braces or spacers to rearrange someone’s smile. Periodontry specializes in gums and soft tissues of the mouth, so you’d be dealing with everything but the teeth. General dentists and cosmetic dentists usually practice together in the same clinic, but cosmetic dentists specialize in aesthetic aspects of dentistry such as veneers or whitening. Finally, oral surgeons are trained in exactly what it sounds like — they perform surgery related to the teeth, tongue, mouth, or maxillary sinuses. This specialty requires the most schooling. 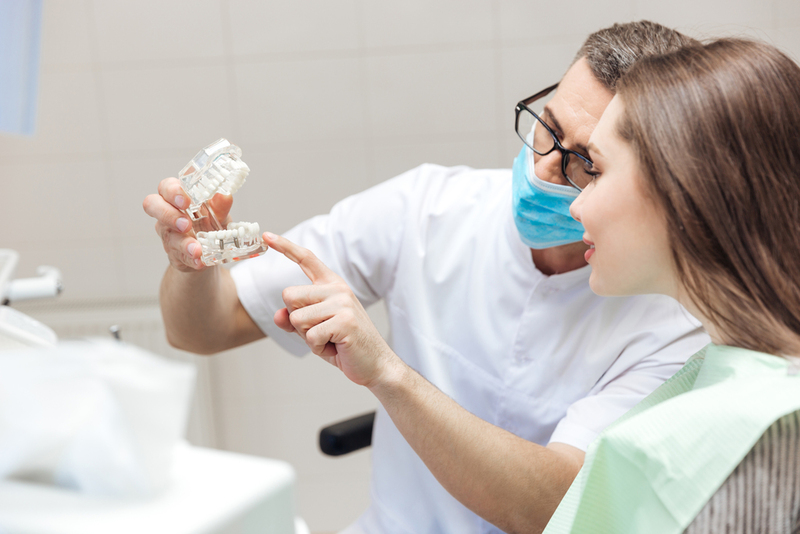 If being a dentist isn’t quite what you’re looking for, there are a number of other, equally necessary roles to providing professional patient care. Dental hygienists perform cleanings and other clinic services, while dental assistants provide active support to dentists on procedures such as fillings or extractions. If you’ve made a decision about what career you’re ready to pursue, the next step is researching the educational path that’s best for you. Depending on what portion of the dental sector you want to enter, your path is going to be different. Becoming a dentist will require an undergraduate degree. You can choose almost anything as long as you meet the standards for entry to dental school. Many individuals pursue science degrees such as biology or chemistry, as this automatically fulfills the course requirements of most dental schools. You’ll also need to prepare to take the Dental Admissions Test (DAT) at least one year before seeking admissions to dental school. Similar to the LSAT and MCAT, the test measures relevant subject-matter knowledge, as well as academic aptitude and logic-based decision making. 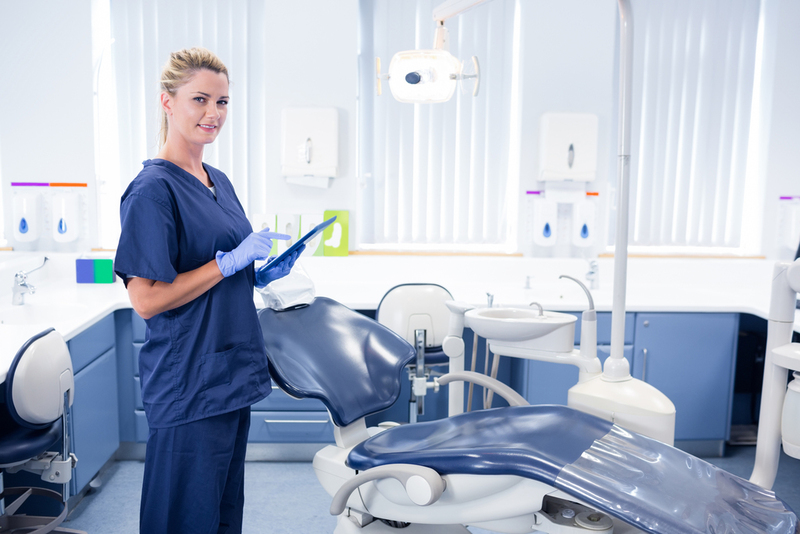 Pursuing a career as a hygienist or assistant requires slightly less schooling, though there are still strict requirements to ensure you’re adequately prepared. Dental hygienists generally complete a two to three-year associate’s program, though there are bachelor’s degree options if you’re interested in research or non-clinical careers. Dental assistants have a shorter associate’s, lasting closer to a year, and also have the option of doing a working education through a vocational school. There’s a lot that goes into entering the dental field, whether you’re pursuing a dental degree or becoming a hygienist. As you make decisions that will shape your path, there are several concrete factors to keep in mind. Stay true to you. Don’t pursue a dental career just because it sounds prestigious or you want the salary — you’re going to be dealing with people’s mouths all day, and unless you want to do that, it’s going to get old, fast! Choose the right school. As you’re weighing academic options, consider the cost, program length, curriculum demands, and even the commute. Some schools may sound fancier, but your success is what matters. Besides, less debt is always nice. Put your patients first. Whether you’re filling cavities or cleaning teeth, healthcare is frustrating. It’s important to keep patients (and their health) a priority to make the long days worth it.